Be the first to share your favorite memory, photo or story of Rogelio "Roger". This memorial page is dedicated for family, friends and future generations to celebrate the life of their loved one. Rogelio “Roger” Campos-Caicolla, 82 of Herrin, passed away 5:38 a.m. Wednesday, January 23, 2019 at the Herrin Hospital in Herrin. Roger retired on September 30, 1976 after honorably serving in the US Army for 20 years. He was a veteran of the Vietnam War. Roger was born September 3, 1936 in Ponce, Puerto Rico to Juan Q. Campos-Nuin and Margarita Caicolla-Rivera. Roger married Rachael Kegerreis in 1971 at Fort Hood Army Base in Killeen, TX. She preceded him in death on Sept. 4, 2002. Surviving are his mother, Margarita Caicolla-Rivera of Ponce, Puerto Rico; 7 children, Ramona Campos of Oklahoma City, OK; Maria (Don) Wright of Waco, TX; Palmira Campos of Marietta, OK, Rogelio (Kathleen) Campos, Jr. of Edmond, OK, George (Kathy) Campos of Edmond, OK, Joshua Campos and Ashley Askew of Herrin, Alexandria Campos and Craig Wrolson of Marion; 21 grandchildren; 13 great grandchildren; 12 siblings are surviving. He was preceded in death by his wife; father; daughter, Tonya Wible and 2 siblings. Visitation will be from 5:00 p.m. until 8:00 p.m. Friday, January 25, 2019 at Meredith-Waddell Funeral Home in Herrin. Graveside services with full military honors conducted by the IL Army National Guard Funeral Honors Ceremonial Detail will be 10:30 a.m. Saturday, January 26, 2019 at Herrin City Cemetery in Herrin with Rev. Don Colson and Rev. Tony Leone officiating. Interment will follow services in Herrin City Cemetery. To send flowers or a remembrance gift to the family of Rogelio "Roger" Campos-Caicolla, please visit our Tribute Store. 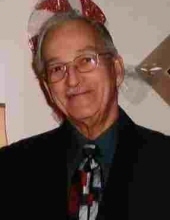 "Email Address" would like to share the life celebration of Rogelio "Roger" Campos-Caicolla. Click on the "link" to go to share a favorite memory or leave a condolence message for the family.